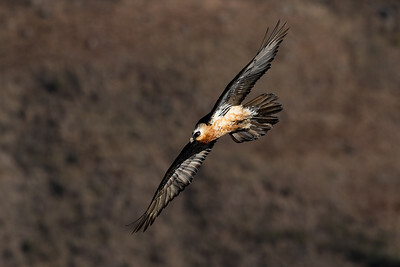 A first-year Lammergeier flying by. 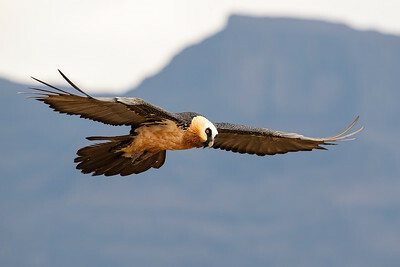 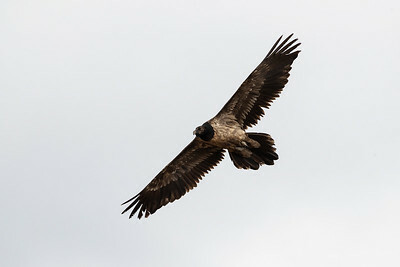 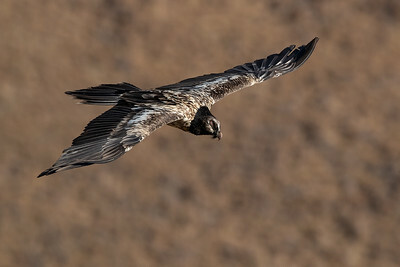 An adult Lammergeier in flight. 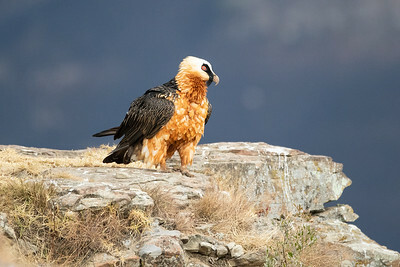 Adult Lammergeier on cliff top. 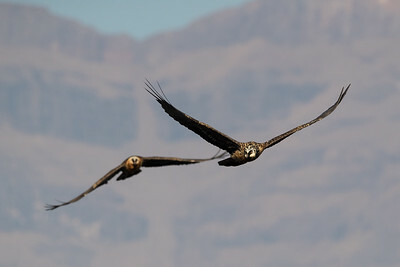 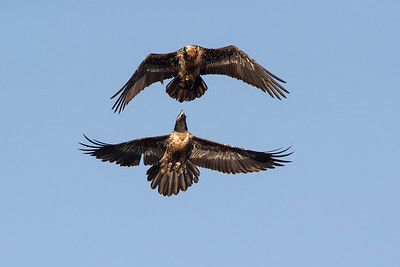 Two Lammergeiers chasing each other. 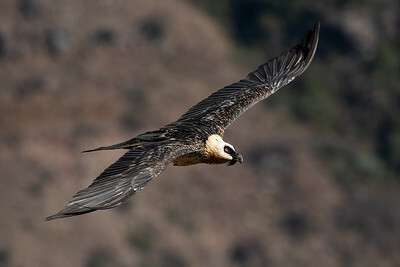 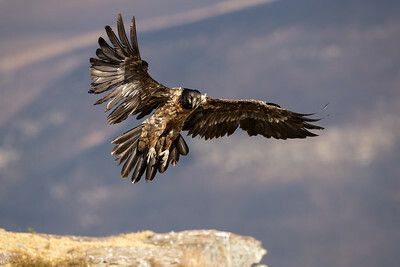 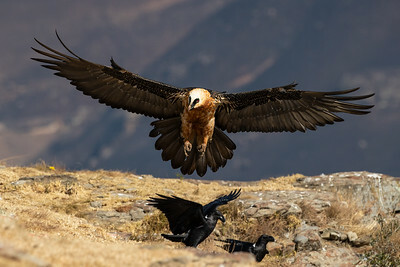 A Lammergeier lands at Giant's Castle. 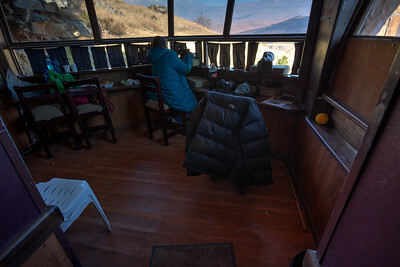 That is what you see from inside.